Safari Doodles is located in the country near McKinney, Texas, just 30 minutes North of Dallas. We consistently produce non-shedding, allergy friendly Goldendoodles, Labradoodles and Bordoodles that are the perfect fit to any family. Our lines bring together the best features of Golden Retrievers, Labrador Retrievers, Poodles, Labradoodles and Goldendoodles. Safari Doodles produces healthy, sound, stable Doodles from superior breeding lines. Our parent dogs come from the world’s top winning show dogs and wonderful service dogs. We strive to bring in the very best and most trustworthy bloodlines and superior genetics into our pedigrees. 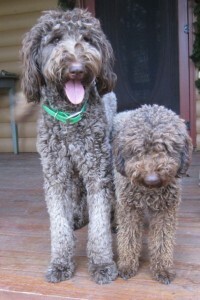 We produce the perfect Doodle for families looking for a healthy, good-natured, non-shedding companion. Safari Doodles gives a written health guarantee. We work hard to place each puppy in its forever home right from the start. We sell to approved homes only. Our list of questions is designed for us to get to know you and your needs in a dog. This helps us help you to choose the right puppy for your home. Doodles need a home where they can live as a family companion, sleep in-doors, receive regular grooming and receive daily walks or activities. We expect all our puppy buyers to enroll in a puppy training class where the family and dog can learn together. Doodles are social dogs and are a pleasure to have as a family member when properly trained and exercised. Our Safari Doodle puppies are home raised. The puppies are are wormed regularly for prevention. Our Doodle puppies are kept clean and raised in a household. They spend their days playing in the yard and the house and they sleep indoors. Our puppies are fed a superior diet including meat, veggies, premium dog food and supplements. We use a holistic veterinarian for the parents. We believe that proper nutrition, supplements, Chinese Medicine and acupuncture for the parents is the key to producing healthy puppies. Some of our litters are raised by the mother dog’s guardian home for the first few weeks. Guardian homes always follow the Safari Doodles puppy raising protocol. Every puppy is given individual attention. When the puppies are weaning age they come to our home for training, veterinary care, temperament testing and placement into new homes. 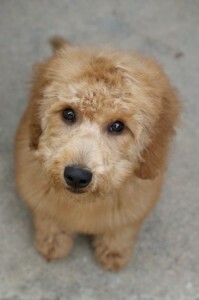 Our Doodle puppies are extensively handled and well-socialized with other pets, people and situations. We use the Volhard Temperament Test to evaluate each pup’s core temperament. We then help match the best puppy to your home by learning about your needs and helping you choose the right pup. In 2010 we bred the worlds first litter of mini Bordoodles. 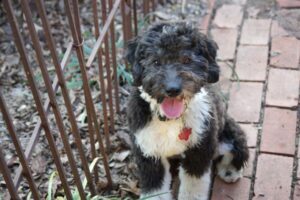 This is a cross between a Border Collie and a mini/moyen size Poodle. Also called a Borderdoodle. We have a top winning line of Border Collies since 1999. We use our award winning champion Border Collies to produce Bordoodles that are 20-40 lbs. Our focus is to produce wonderful service dogs for people with disabilities plus sport dogs. We have Bordoodles competing in Agility and other dog sports. We donate Bordoodles to service dog organizations for PTSD and Type 1 Diabetes Alert Dogs (DAD). 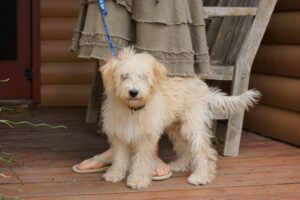 Sizes of Safari Doodle’s dogs range from 15 pounds to 60 pounds with our focus on producing puppies who are 20-40 pound dogs as adults. To start the process in deciding on a Safari Doodle, first fill out our Puppy Application. We review your answers and contact you by phone or email. After deciding that a Safari Doodle puppy is a good choice for your home, you may put a deposit on a puppy or litter. Puppy buyers choose their puppy based on order of deposit received. We help you make the choice by informing you of each puppy’s temperament traits based on the Volhard Test results and our experience after living with them. If a good choice is not available in the litter we will forward your deposit to a future litter.